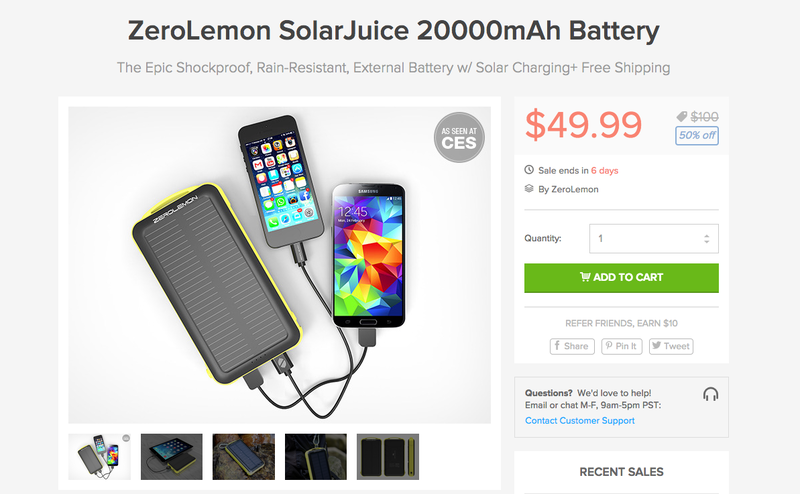 For the next six days through the DL Deals Store, you can pick up a massive 20,000mAh ZeroLemon SolarJuice battery pack for $50, perfect for charging all of your smartphones while you hang out on the beach, or in the backyard while getting down on some BBQ. Not only can this monster charge your devices, but it integrates a solar panel which allows it to be recharged by any lighting condition. The battery is capable of 1000+ recharge cycles over the course of its life, and features 4 LED indicator lights for displaying charging and discharging processes.